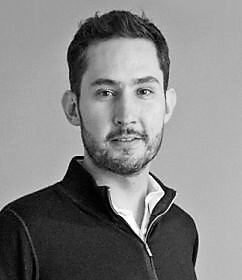 Kevin Systrom, Instagram Co-Founder. Startup Developer. Entrepreneur. Business Speaker. Systrom graduated in 2006 from Stanford University with a B.S. in management science and engineering. He co-founded Instagram in 2010 with Mike Krieger. He also founded Burbn, an HTML5-based location-sharing service. He got his first taste of the startup world when he was an intern at Odeo, the company that eventually gave rise to Twitter. He spent two years at Google; during the first, he worked on Gmail, Google Reader, and other products, and during the second he worked on the Corporate Development team. After leaving Google, he co‑founded the photo-sharing service Instagram. In April 2012, Instagram was sold to Facebook for $1 billion in cash and stock. According to multiple reports, the deal netted Systrom $400 million based on his ownership stake in the business.